￼Samsung Corp, the South Korean giant, has now unveiled its next generation much-anticipated Galaxy Note 4 phablet smartphone with an upgraded S-Pen. This new feature full device is unarguably the best the company has ever launched, and it is already on pre-orders. Samsung will ship the device after October 17. However, Samsung is also giving a credit of $200 or more in exchange of the old Galaxy smartphone. The offer is only valid for a limited period and will expire on Oct 16. Coming down to the specifications of the device, the Samsung Galaxy Note 4 has a 5.7 inch 2560 X 1440 super AMOLED screen with a pixel density of 515 PPI. It houses a powerful 2.7 GHz quad-core Snapdragon 805 processor and a RAM of 3GB, and an Aderno360 GPU, which acts as an icing on the cake. The device has a 16MP front and 3.7MP rear camera. It comes pre-loaded with optical image stabilization, which is very helpful for taking pictures low light. It is without any doubt that Samsung Galaxy Note 4 is the slimmest device after Apple iPhone 6 and it has a thickness of just 8.5 mm. The devices again can be placed among the top lightweight phones as it weighs just under 180 gm. The device has a 3220 mAh battery and company claims that it would charge from 0 to 50% in just half an hour. The internal memory of the device is 32GB and supports a micro SD card up to 128 GB. 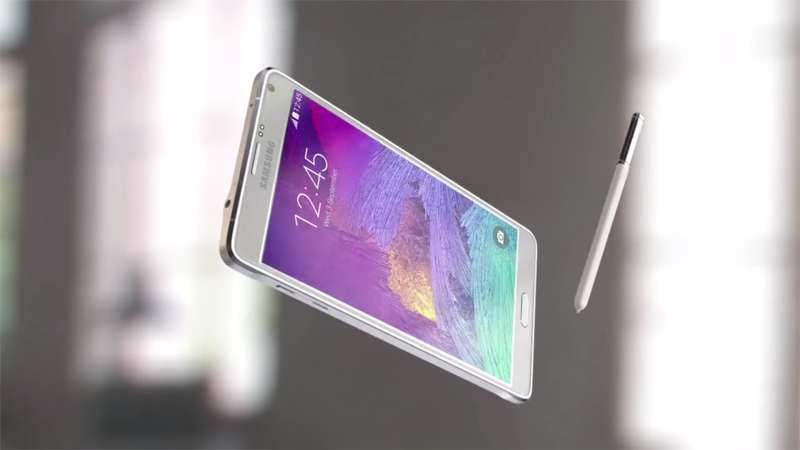 The note 4 comes with an ‘S Pen’ that makes it very easy to write, draw or edit anything on the phone. The price of Note 4 is around $700. Can you see the screen outdoors? I have a Galaxy s Aviator & it’s real hard to see.